Many of the images we have of Native Americans today, we have only thanks to Edward Sheriff Curtis (1868-1962), a man with a mission. 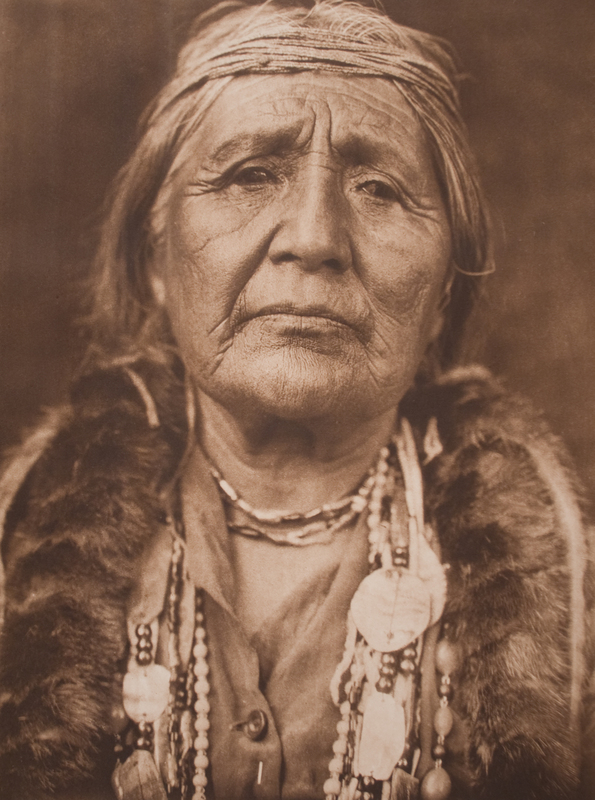 His life work was to photograph and document the Native American Indian and their disappearing culture. Curtis was fascinating by photography and built his first camera at age 12. He photographed everything. In 1891 Edward moved to Seattle and bought a share in a photography studio with Rasmus Rothi and opens “Rothi and Curtis, Photographers.” He won the bronze medal at the National Photographers Convention in Chautauqua, New York in 1896. July 1900 saw Curtis in Montana with the Plains Indians. This experience solidified Curtis’ will to begin to document the North American Indian in earnest. Curtis was invited by President Theodore Roosevelt to be the Whitehouse photographer in June 1904. It was from this point he dedicated his life to The North American Indian project. By 1928 publication of “The North American Indian” totaled 18 volumes and over 40,000 photographs. His photographs, and the truth inherent in them, are stunning, astounding, poignant and humbling as we watch a culture disappear from the distance of a century. His own story, a very sad one. MessyNessy wrote about Curtis’s life here. He may have been both unappreciated and uncelebrated within his own lifetime, but we would be greatly diminished, as would the Native people, without the photographic body of his lifelong work and dedication. He was, and is, an American hero. Rest in Peace, knowing you answered the call, Edward Curtis. You can see the images from his now legendary book, The North American Indian, at Northwestern University’s Collection here. There are many beautiful people documented in Curtis’s photos. Unfortunately phrases like “noble disappearing Indian” are associated with his photography and help reinforce today’s stereotype that we are all dead. I sometimes wonder if the greater US society keeps repeating this idea so it will eventually happen. None the less, it is wonderful that the majority of the people in his photos had children and grandchildren and that we as Native people are here today in record numbers to look at and critique another’s representation of our ancestors. And once again thank you for your posts and be well!